Trying to cram exercise into our busy lives can prove challenging. What do you do when time is so short? The good news, is that you might not need much time to exercise after all. Short bursts of activity have been shown to work just as well as more sustained, longer sessions. A study, undertaken by researchers at the US-based National Cancer Institute and Duke University, compared one concentrated stretch of exercise during the day with short bursts of exercise all throughout the day. It was discovered that keeping heart rates up for 5-10 minutes was all that was needed for the benefits of exercise to be reached. 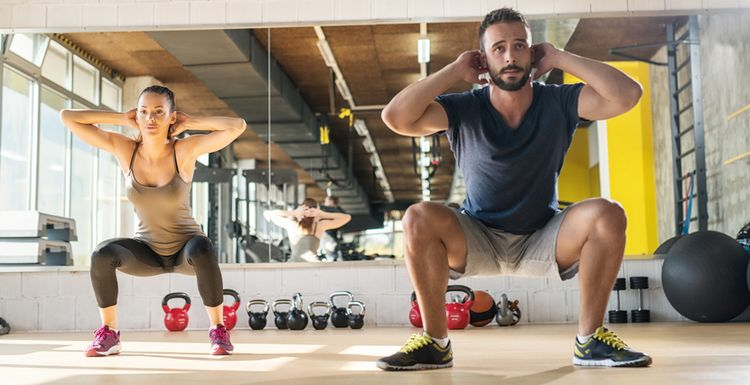 There is a lot of enthusiasm for exercises like HIIT (high intensity interval training) and Tabata, which involve shorter bursts of intensive activity. This research suggests the enthusiasm is well placed. The research also adds weight to the argument that short bursts of activity may even be better than long workouts. Still struggling to fit those crucial minutes into your busy day? Sometimes it’s about looking for alternatives. If you can find 30 minutes, a quick gym visit will do you the world of good. Rather than sitting at your desk, why not take to the office stairs. Short bursts of running up and down, or a short session of squats, lunges, and jumping jacks are all great body-weight activities that require no equipment and very little time. The days where the excuse “I don’t have enough time” really are over. All you need is 10 minutes in your day for a really effective workout, guaranteed to change your health and body shape for the better. Agree a short workout is better than none but surely the more sustained it is the better the result? It doesn't seem logical that if you do a long workout it stops having an effect after say 15 mins - is this what the article is suggesting?